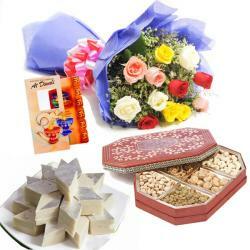 Product Consist : 500Gms Soan Papdi Box, 500Gms Dry Fruit Box along with Bouquet of 12 Red and White Flowers with Greens. 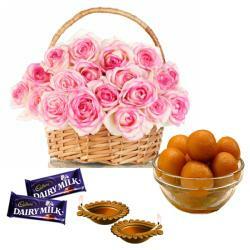 Treat your loved ones with this amazing Diwali hamper that comes with tasteful delight and auspiciousness. 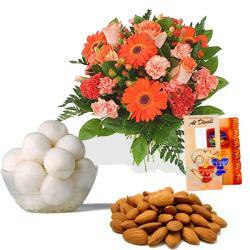 The hamper includes a Soan papdi pack that is most famous indian sweet. A box full of dry fruits having four slots of Almonds, Cashews, Pistachio, and Raisins is a thoughtful inclusion in the hamper. Both the delectable packs are ready to treat your taste buds on this Diwali. 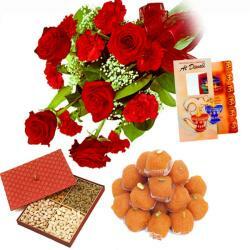 Along with Bouquet of dozen Red and White Flowers with Greens So, order this hamper online today and greet your loved ones warm. 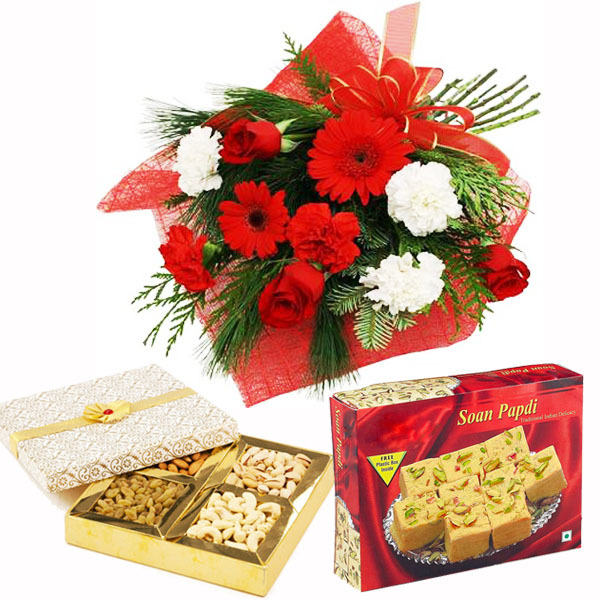 Product Includes : 500Gms Soan Papdi Box, 500Gms Dry Fruit Box along with Bouquet of 12 Red and White Flowers with Greens.